New Indigo 7 Flex Website live. Indigo 7, a company started by 7 vibrant and energetic real estate agents, was founded in 2009 and focusses on residential property sales and rentals in Krugersdorp, Randburg and Sandton. The aim of this dynamic estate agency is to ensure a satisfied seller, buyer, landlord and tenant. 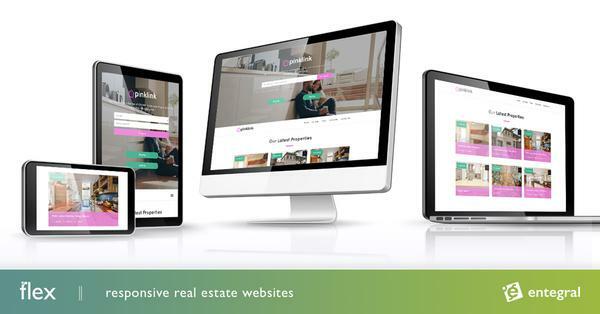 In part of doing so their brand new responsive Flex website was created to assist both the seller and buyer as well as the landlord and tenant in finding and marketing relevant property for sale as well as providing a platform for landlords to find qualified tenants for their rental properties. Indigo 7 chose our Elegant theme website and made it their own by adding their corporate colours, slogan and custom text to the site. This website also provides quick navigation to special services that Indigo 7 offers like free property valuations. It's also made easy to quickly list your property to sell or rent with them or to calculate your monthly bond repayments on a purchased property. For buying and renting property in Krugersdorp, Sandton and Fourways be sure to visit www.indigo7.co.za. 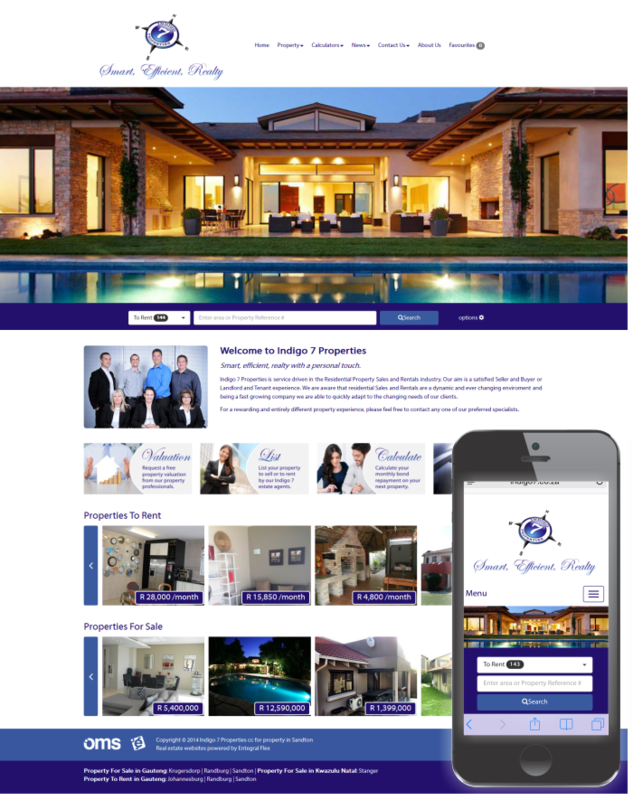 Estate agents, visit our website for more information on how you can obtain a responsive Flex Website for your real estate company.